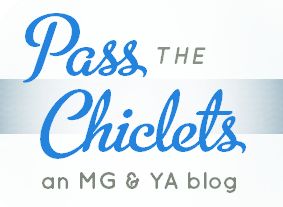 Pass the Chiclets: reading & growth & change: some navel-gazing. reading & growth & change: some navel-gazing. It's been around five or six years since I started this reading thing seriously. Reflecting upon the contents of each book, turning the filter of my mind to active instead of passively letting the words slide through, letting them fall where they may without thinking too hard. It doesn't feel as if much about my processing method has changed — but at the same time, I myself have changed tremendously, in the ways that count: principles, ways of thinking, outlook on life. And this revolution of self finds echoes, I find, in the way and the things that I read. Backing up a bit: the change effects itself in the other way as well. What I read changes what I think and how I am, and that thus leads to more changes in what I read or choose not to read. In fact, I think my reading reflects myself in a parallel, mirroring fashion, rather than a cyclical, directional manner. So, although my reading and my change may be catalysts for each other, at the same time they are also firmly interlocked. I'm intrigued by this concept, actually — how important it is to me that my reading meshes with the principles that I come to hold. It has to do with art imitating life, the possibility of fiction as an alternate universe of reality, I think. Because I have discovered this new way of processing life, I don't know if I can go back. I've changed. What does this mean for my reading? Quite a few things. It means that I participated with joy in #WeNeedDiverseBooks (check out the Tumblr. Go on! ); it means I angry-tweet about stereotypes; it means that now, I relegate books to the did-not-finish pile with sass, immediacy and aplomb. My reading tastes are changed, along with myself. Perhaps they are more specific, more demanding, but perhaps they simply reflect my reality now. The age category + genre mix of young adult contemporary is halfway to a minefield for me right now. By virtue of the genre's definition, the immediacy of the action and the storyline and the characters means that if the book's characters do not reflect the diversity and variety that I've come to expect, then the reading experience becomes an intensely grating one. I don't want to read about a reality where the important people are white. For some reason, removed genres under YA such as fantasy/sci-fi, historical and steampunk give me less problems, and I've yet to discover whether it's because the genres allow my sense of reality to relax, or because the genres themselves lend to greater diversity. But where my true refuge lies is in an entirely different age category. Middle-grade is my safe place, the place where the possibility to be triggered negatively is at its lowest, where the books talk about themes that tug on feelings that I thought I'd lost in my revolution of self, in my changes of mind. It is — these books are — simultaneously nostalgia and hope for the future. Hoping that the future can still be what I thought it would be. I've grown, now. These changes are here to stay. But so is my love of reading, my love of books, my love of writing. So they must all change with me.